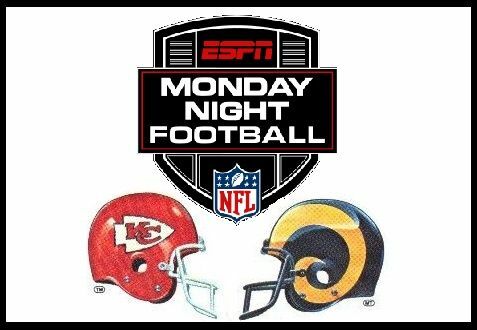 LOS ANGELES (AP) — Even before the fourth lead change of the fourth quarter, well before the 1,001st yard of combined offense was tallied, the Kansas City Chiefs and the Los Angeles Rams already knew this was a classic. There were 14 touchdowns, including three by defensive players. There were 56 first downs. There were 105 points, with 50 from each team — the first time that's ever happened in an NFL game. The highest-scoring game in the league this season was an offensive fantasia of ingenious scheming from mastermind coaches Andy Reid and Sean McVay — along with 21 combined penalties to keep things interesting. The second half was an extended thriller featuring 59 combined points. Those fans got an incredible treat for their reward — and if the video-game-like spectacle they saw turns out to be a Super Bowl preview, Atlanta will get an All-Madden-level show as well. This game has loomed in capital letters on the NFL's regular-season schedule ever since these teams confirmed their status as offensive powerhouses in September. The Rams and Chiefs are the league's biggest favorites along with New Orleans and New England — the teams responsible for the only other losses by Los Angeles and Kansas City this season.